“The environmental movement is a failure. Whether its climate change or the health of our oceans, air, and soil, the planet is worse off now than it was 40 years ago, and rapidly declining. Yet, corporations have more rights than our communities or ecosystems and are doing just fine. This weekend I will be presenting a motion at the 2013 Irish National Green Party convention on ecocide; the post below explains why I’m trying to get the term ‘ecocide’ into the Irish political and public domains. If you are interested in measures against fracking and other environmental destruction, a law of ecocide and nature-based rights are developing in response. Please feel free to share this post. Could an ecocide law prevent environmental destruction? One of the key concepts and terms in my PhD work ‘Seeing and Tending the Forest: beyond ecocide toward deep sustainability‘ is – ‘ecocide’. ‘Ecocide’ is a term I kept coming across in my research and reading. In fact I first used ecocide almost without thinking. To me it so well conveyed the exponential accelerating ecological suicide that is occurring globally. Particularly the horrifying rate of destruction since World War II, that some are calling ‘The Great Acceleration’, that characterises our now globalised, extract-at-all costs, industrial growth society. However, one of the fundamental principles in undertaking doctoral level research is that you fully define all terms and concepts. I had some years ago been alerted by one of my blog followers that I should look at the work of UK legal barrister, Polly Higgins. Polly Higgins’ work in organising high profile mock legal trials against corporate ecocide, her award-winning books on ‘eradicating ecocide’, her well received ecocide talks has developed quickly in recent years to become an international campaign; to have corporate ecocide recognised in international law as the missing 5th international crime against peace. 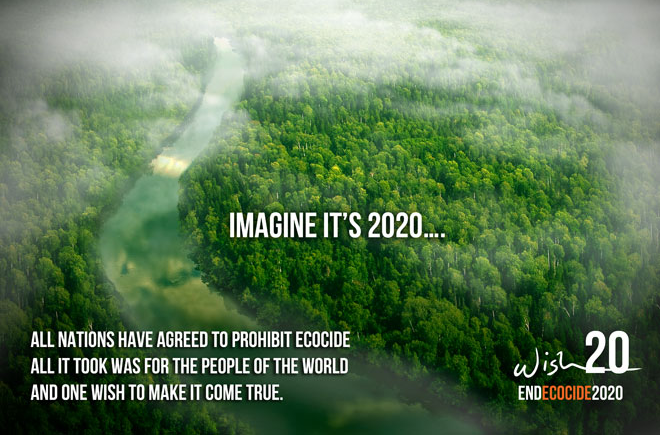 Ecocide is the extensive damage to, destruction of or loss of ecosystem(s) of a given territory, whether by human agency or by other causes, to such an extent that peaceful enjoyment by the inhabitants of that territory has been or will be severely diminished. Her website www.eradicatingecocide.com is a comprehensive resource for the history and current research into ecocide legal developments. It is also the site for the growing global campaigns to raise awareness of how we can all become involved in outlawing ecocide (taking part in the AVAAZ, Wish20 Eradicating Ecocide and if you live in Europe the endecocide.eu online petitions are a good place to start, you can also follow and share the posts from the Ecocide is a Crime Facebook Page too). How can a law against ecocide work? Polly Higgins and Thomas Linzey, a leading lawyer working in the US (quoted above), and growing numbers of leading international legal people and researchers, are arguing that in much the same way that slavery and disenfranchisement against women were perpetuated by seeing other races and women ‘as property’, that changing laws to overturn the erroneous idea that natural ecosystems be regarded as property, will powerfully and legally shift corporations away from committing crimes of ecocide. This is not to underestimate that this is complex area (leading legal experts in universities, particularly some University of London legal researchers, are working hard to address all the many legal details on this issue) and I have only briefly highlighted the key point here. Yet this key point, to extend a legal, enforceable ‘duty of care’ to ecosystems would be a paradigm shift for humanity, and the corporate world in particular. Corporations are legally mandated to produce profits; this law would fundamentally change corporations actions and enforce eco-social responsibility and accountability. This will in turn legalise long term sustainability for the earth’s life giving ecosystems. Ecocide has since been recognised legally from the Vietnam war onwards, and some legal redress for victims of ecocide has and is occurring. Oddly unsettling in my reading about ecocide, is that I found the term is exactly the same age as me. I say this as the term evolved in the late 1960s from recognising the criminality behind the long term destruction and poisoning of the forest and food ecosystems in the Vietnam war with industrial chemical herbicide agents such as Agent Orange (Monsanto/Dow Chemicals and other companies produced Agent Orange and an arsenal of other poisonous ‘rainbow agents’) used by the US military. Agent Orange in particular was noted for its disastrous long term residual poisoning of ecosystems and human populations with dioxins – lethal cancer and birth defect causing compounds, and other persistent effects of which health professionals and scientists are still realising and dealing with). As I’ve mentioned before in a previous post, this affected my family as my late father was a New Zealand Vietnam veteran. It was through the hard work of the NZ Vietnam Veterans associations and the then Labour Government under former Prime Minister Helen Clark, that a Memorandum of Understanding sought acknowledgement, compensation and redress to the children of NZ Vietnam veterans by the ecocide caused by these long lasting poisonous herbicides. 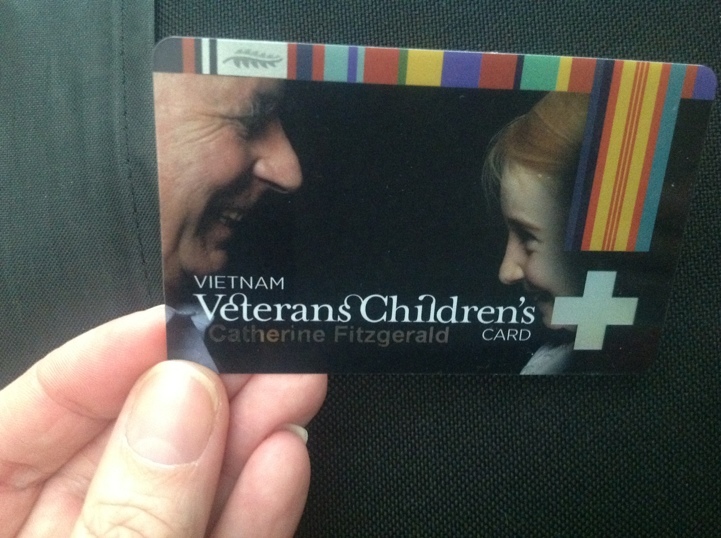 My sisters and I are now on a official NZ Vietnam Veteran’s Children’s Register (my NZ Vietnam Veteran’s Children’s card is pictured here) that gives some support to descendants affected by cancers/diseases attributed to Agent Orange and the millions of tons of poisonous herbicides sprayed across Vietnam and other parts of Asia in the 20 000+ US military air raids (see notes at end of article for more details on this NZ landmark case). On a personal note, my father, a very quiet man, could never speak easily of America or its culture again and the destruction he witnessed to a beautiful country and the peoples of Vietnam. I grew up knowing him interested in these things; reading the paper, vegetable growing, his love of the wild forested West Coast of the South Island of NZ, horse racing and Labour Party politics. He often bribed us as children (with chocolate) to deliver Labour Party political leaflets in our local area and he would have been so moved that it was the Labour Party that worked hard to bring some compensation to his engineer army colleagues and their surviving families (NZ sent 3,980 mainly non-combatant, engineer troops, to serve in the Vietnam war). While the NZ military situation above is an example of legal retrospective redress for gross war-time ecocide, developments since the 1960s to bring the crime of ecocide into non-military situations have evolved slowly. Surprisingly there was much talk and legal efforts in bringing ecocide forward as a crime in non-war situations in the early 1970s due to the huge public awareness of the situation in Vietnam (many scientists signed an international petition to try and stop Agent Orange use during the Vietnam war) and the publication of Rachel Carson’s 1962 Silent Spring book alerted many to the long term environmental problems of pesticide/herbicide compounds. However such legal measures for non-war situations were stopped by several nations (see the eradicatingecocide.com website for more details). 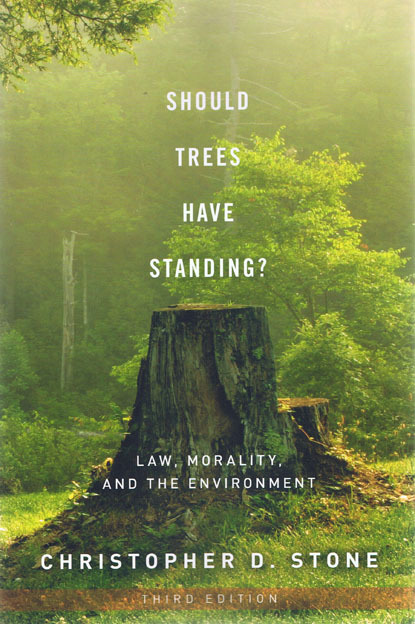 Even so, legal minds have for some decades further examined the idea of extending a legal duty of care to the non-human world, such as in the work and landmark book by US law lecturer and researcher, Christopher Stone, who wrote in 1972 Should Trees have Standing? 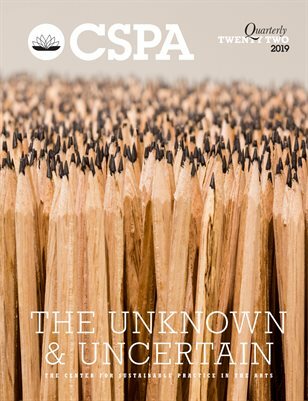 – law, morality and the environment. 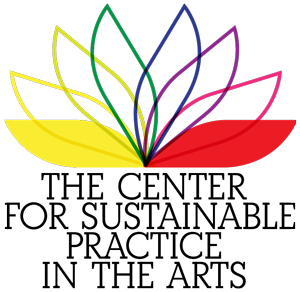 In recent years I have also noticed some nations in South America are leading the way for the ‘rights of nature’ to be legally recognised in their countries’ constitutional framework (for e.g Ecuador). Often such legislation is evolving with lawyers working with indigenous peoples, peoples who have not forgotten their nature-centred worldviews that respects all life, fundamentally ensuring long term sustainability for all species. Also in South America, one of the most important cases against corporate ecocide is ongoing, the multinational petrochemical Chevron is facing $18 billion in redress to thousands of indigenous peoples whose livelihoods and waters were affected by Chevron’s disregard of the gross and poisonous pollution it was creating (see Amazonwatch.org for details of this case – Chevron has engaged 64 law firms trying to overturn this decision!). And nature-based rights are developing in New Zealand. In fact, I was startled last August, while back in NZ to see that NZ’s third largest river, the Whanganui river, was granted legal standing from long years of work from Maori tribes and other river stakeholders. This river has a particular connection to my mother’s family as our Great Grandmother was an early European settler in the northern reaches of this river (I created a book on her paintings with my mother a few years ago – my great grandmother witnessed and painted both the beauty and the rampant deforestation by early European settlers way back in the 1890s near this river). Also last September I noticed online that the Green Party of England and Wales had invited Polly Higgins to their national convention and the Green Party of England and Wales unanimously adopted a motion to support a motion against ecocide. I made a promise to myself back then that I would at some stage attempt to bring it to the attention to the Irish and New Zealand Green Parties (NZer’s, please feel free to share this post) in a hope it would spread across the political and public domains. Over the last few months, I was busy with other aspects of my project but I was fortunate to come across a new book Earth at Risk (Dec, 2012) from leading US author/activist/deep green philosopher Derrick Jensen. In it I read a fascinating interview by Derrick with US lawyer Thomas Linzey. While Polly Higgins has been tackling ecocide law at an international/UN level, I was excited to read Thomas Linzey also describe how modern law often legally enables ecocide and how despite the best of intentions, environmentalism has largely failed. I was even more excited to read how Thomas was working from the ground up, assisting grassroot local communities across the United States, to stop fracking and other forms of pollution or degradation in their areas etc by fundamentally changing the legal framework in regards to their local environments. Thomas Linzey is founder of the Community Environment Legal Defense Fund (CELDF), an organisation which since 1995 has been assisting and educating ordinary concerned citizens in towns and municipalities to fight for new nature/community based rights. In recent months, its been great to see on the eradicatingecocide.com website, both Polly’s and Thomas’s new legal ideas and work are beginning to influence local and international law. On the CELDF website you can also see how rights based successes are spreading across the US, with some communities having success in preventing fracking in their localities. Here is a short video trailer from an upcoming documentary film from Thomas Linzey on the work that the CELDF organisation is undertaking (note, you’ll see the NZ Whanganui River rights case briefly highlighted in this trailer too). Thomas’ groundbreaking plenary 30 min speech from a US Bioneers conference is also worth listening to, see here) . If you are involved in local politics, concerned about fracking or other types of environmental destruction, I would also recommend you watch the more detailed video below by Thomas on how this area of legal reform is developing swiftly across many US states. Higgins and Linzey’s work acknowledges that ecocide is a crime and a move to install nature/community based rights are important and urgent. In my own writings I point out that ecocide isn’t just happening in the Arctic or the Amazon, that the slow violence of ecocide, in our culture and local environments, threads its way through our everyday lives. To me, short rotation monoculture tree plantations are a form of ecocide, leading to eventual soil fertility collapse and limiting severely resilient ecosytems from developing; the very opposite of an ecosystem thriving sustainably in the long term. My work will continue to show alternatives to industrial forestry. Perhaps one day I might even fight for legal standing for the small forest in which I live, a living community that supports me and which I am interdependently connected to. I will be proposing that the following motion will be adopted by the Irish Green Party on 13 April 2013. My thanks to Carlow Law lecturer John Tully, former Green Minster for Equality, Mary White, Cllr Malcolm Noonan, Dr. Paul O’Brien, Martin Lyttle, Dr. Rhys Jones, Alan Price, Duncan Russell, Nicola Brown, John Hogan and others for enthusiastically supporting my proposing this motion. Do take a minute to sign and share the petitions, click on the links above or the AVAAZ and also the End Ecocide in Europe (if you live in Europe) logos at the bottom of this page. If a million Europeans sign the End Ecocide in Europe it helps enforce an EU wide directive against corporate ecocide (170 000+ have signed so far). In December 2006, the New Zealand Government, the Ex-Vietnam Services Association (EVSA) and the Royal New Zealand Returned and Services Association (RNZRSA) agreed to, and signed, a Memorandum of Understanding (MoU) following the recommendations of the Joint Working Group, designated with advocacy for Veteran’s concerns. The MoU provides formal acknowledgement of the toxic environment New Zealand Vietnam Veterans faced during their service abroad in Vietnam, and the after-effects of that toxin since the service men and women returned to New Zealand. The MoU also makes available various forms of support, to both New Zealand Vietnam Veterans and their families. New Zealand writer and historian, Deborah Challinor, includes a new chapter in her second edition release of Grey Ghosts: New Zealand Vietnam Veterans Talk About Their War that discusses the handling of the New Zealand Vietnam Veterans’ claims, including the Reeves, McLeod and Health Committee reports, and the reconciliation/welcome parade on Queen’s Birthday Weekend, 2008, also known as ‘Tribute 08′. From 1962 until 1987, the 2,4,5T herbicide was manufactured at an Ivon Watkins-Dow plant in Paritutu, New Plymouth which was then shipped to U.S. military bases in South East Asia. There have been continuing claims that the suburb of Paritutu has also been polluted. Note: Apologies for cross posting, this article was published previously on my research site www.ecoartfilm too. 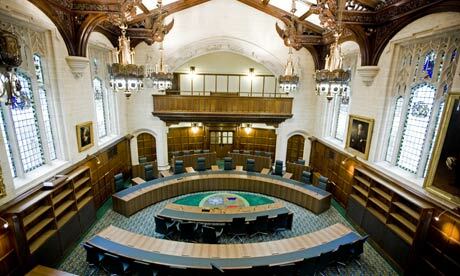 Today, the theatre of a mock trial plays out in the UK Supreme Court, live online (download the software at the top left of the panel). The Ecocide Trial has Michael Mansfield QC as prosecuting barrister and Nigel Lickley QC as defence barrister leading a case for and against two fictional CEO’s, and is complete with expert witnesses, jury and judge. The crimes chosen by the court this morning are the extraction of oil from Canada’s Tar Sands and the Deepwater disaster in the Gulf of Mexico. There is no script. 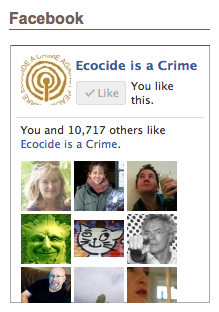 It is up to a jury to decide whether the case for Ecocide crime is made. 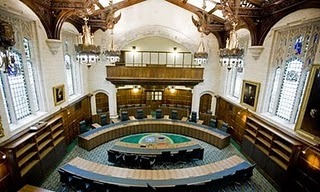 Follow the case on twitter and on Sky News/home/supreme-court. 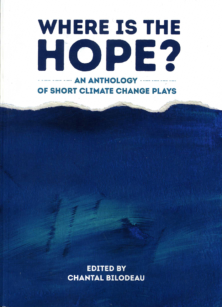 Loosely, my Masters study launches from the premise that a state of ecocide is already upon us and that our global environmental crisis is underpinned by cultural roots which can be understood in part, as a crisis of vision. 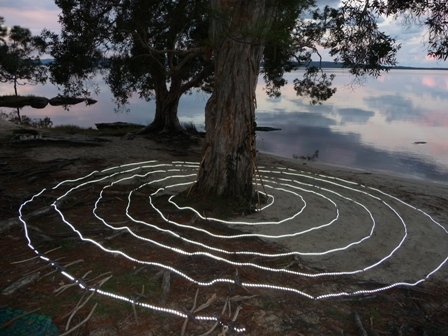 The aim of the research is to apply ecological thinking to these crises to identify what tools facilitate culture-nature connection and where these tools activate new narratives/imaginings/visions for an ecologically responsive paradigm. The Last Tree website (www.thelasttree.net) is a good reference for my work. If you have questions please email or call +61266803263 (I’m in Sydney timezone). From this Friday (1st July) I’ll be outback for the next 2 weeks without phone/email so please be patient for my reply. I aim to make all arrangements for this project late July as I’d like the placement to commence mid-late August. The Masters forms part of the Remnant/Emergency Art Lab. This is being posted in the hope that someone within the network will be interested in working with Ilka Nelson. Please contact directly.